KSC's highly durable, solid plastic parking stops won't chip or crack like concrete parking stops. Lag Bolt Hardware for concrete where drilling holes is permitted. 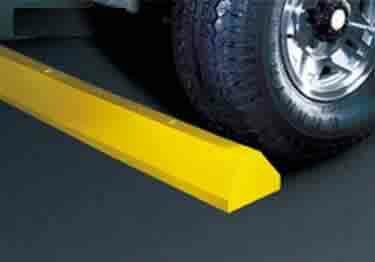 KSC 4 ft, 6 ft Car Parking Stops and 8 ft Truck Parking Stops have strong, durable maintenance free construction. Three color options: yellow, blue or grey.